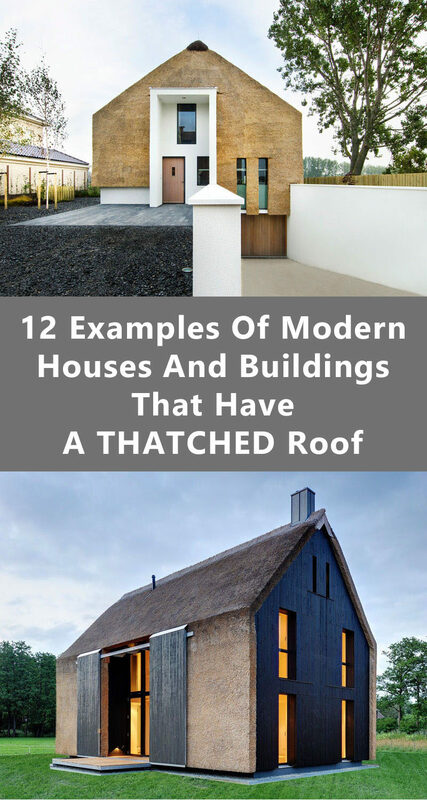 Even though it’s usually considered a traditional building material, thatch can sometimes be found on modern architecture. It’s a naturally weather-resistant material that doesn’t retain water, making it suitable even in places that experience a lot of rain. Also, as long as it’s packed and installed properly, thatch is an excellent insulator and resistant to high winds. 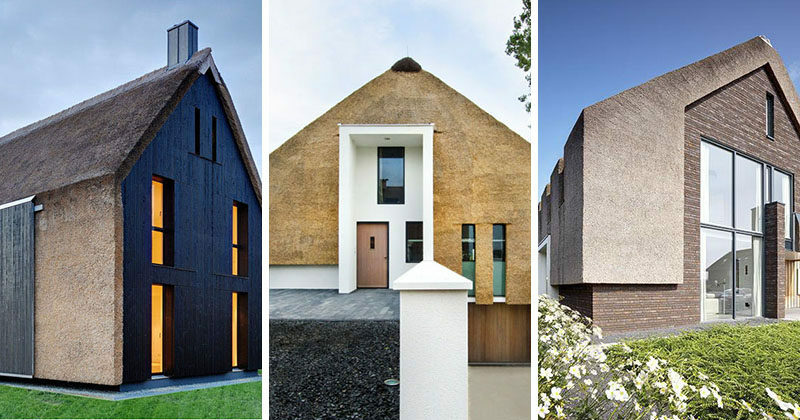 Here are 12 examples of thatch used on modern exteriors to create a unique look and add texture to the homes and buildings. 1. The roof and walls of this family home in the Netherlands uses tightly packed thatch and white plaster to create a look that has both traditional and modern elements. See more photos of this home, here. Designed by Arjen Reas. Photography by Kees Hageman. Thatch by Voogtrietdekkers. 2. Thatch almost covers the entire exterior of this home, including the roof and some of the walls to create a textured look and contrast the black wood paneling. Designed by Mohring Architekten. Photography by Melchior Fotodesign. 3. Traditional materials like brick, wood, and thatch used for the exterior, mix the old with the new on this modern family home. Designed by Proah. Photography by Damir Fabijanic. 4. This long, single level house has a thatched roof running the length of it, with a long skylight in the middle to let in natural light throughout the day. Designed by Archispektras. Photography by Juozas Kamenskas. 5. 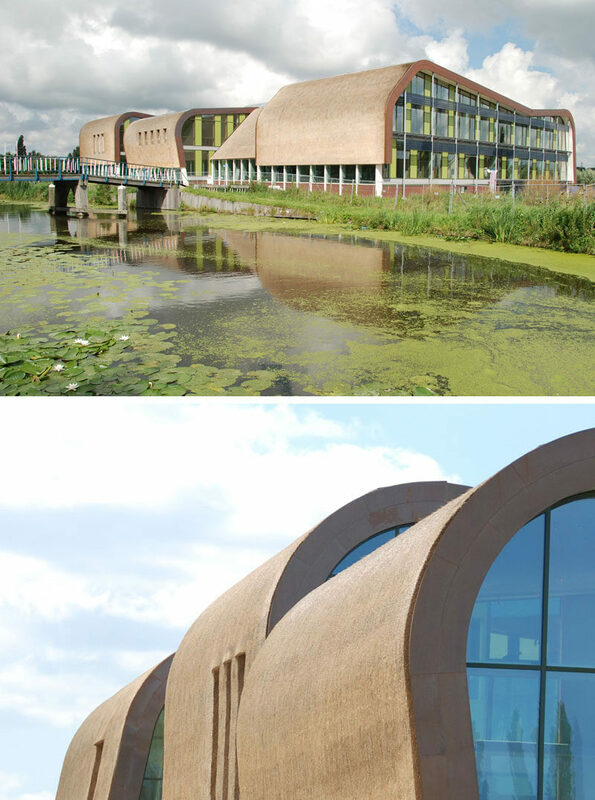 All five of the buildings that make up this town hall in the Netherlands are covered with thatched roofing for protection and to add a traditional element to the modern design. 6. 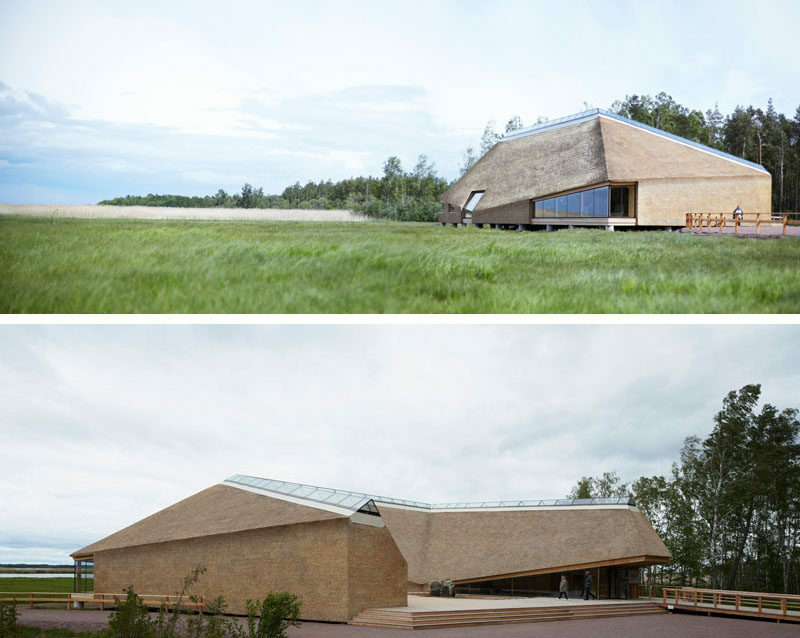 A skylight runs the length of the roof of this visitors center, while the rest of the roof and the exterior walls are covered with thatch, in keeping with the natural surroundings. Designed by Wingårdhs. Photography by Tord-Rickard Söderström and Åke E:son Lindman. 7. Tightly packed reeds make up the thatched roof of this family holiday home in South Africa. See more photos of this home, here. Designed by SAOTA. Interior design by Antoni Associates. 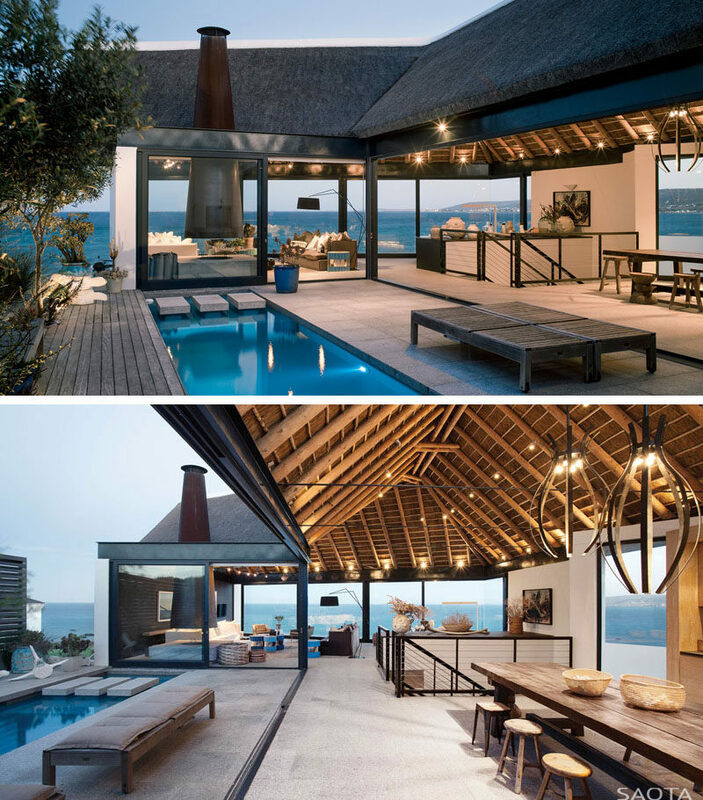 Photography by SAOTA, Adam Letch & Enda Cavanagh. 8. An old barn built in the 1800s was transformed into a modern office space in a countryside where urban development is in the works. 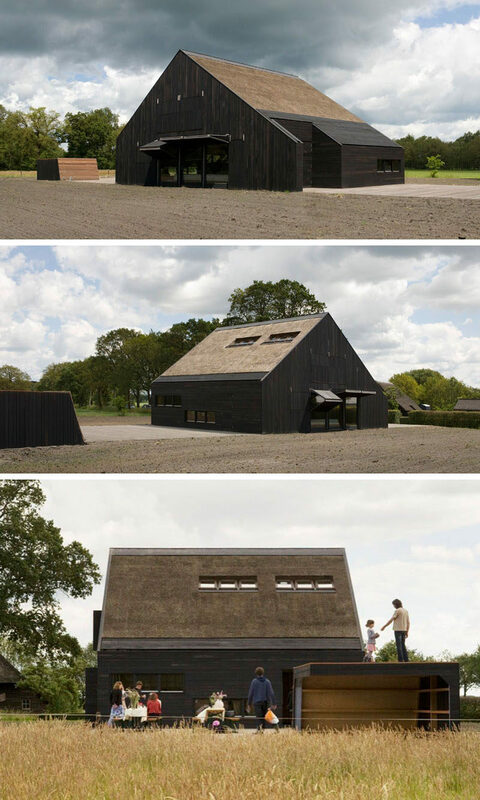 The thatched roof helped the building retain its historical roots while the rest of the barn was turned into a contemporary work space. 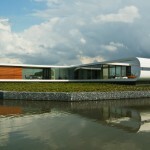 Designed by arend groenewegen architect. 9. 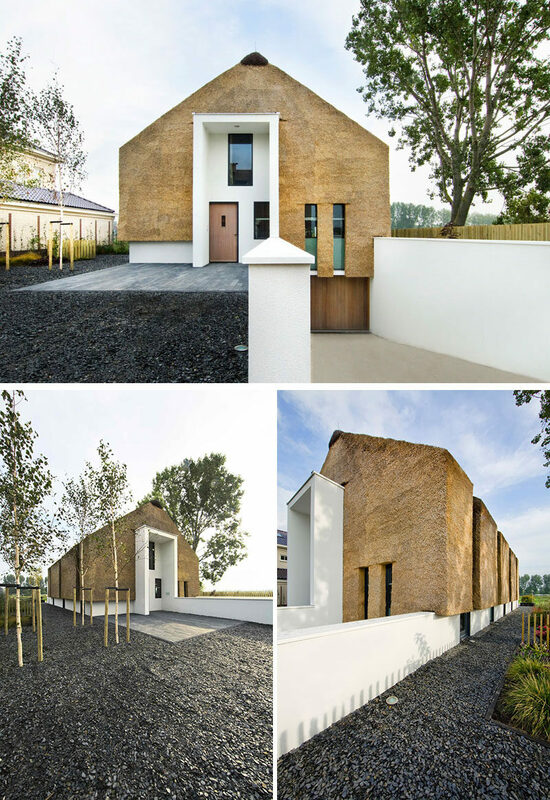 A dilapidated farmers cottage was restored and updated with modern timber cladding, while the thatch walls and roof pay tribute to the original structure and historical site. 10. This floating office building in Amsterdam is covered with both steel and trimmed thatch that protect it from the elements. Designed by Attika Architekten. 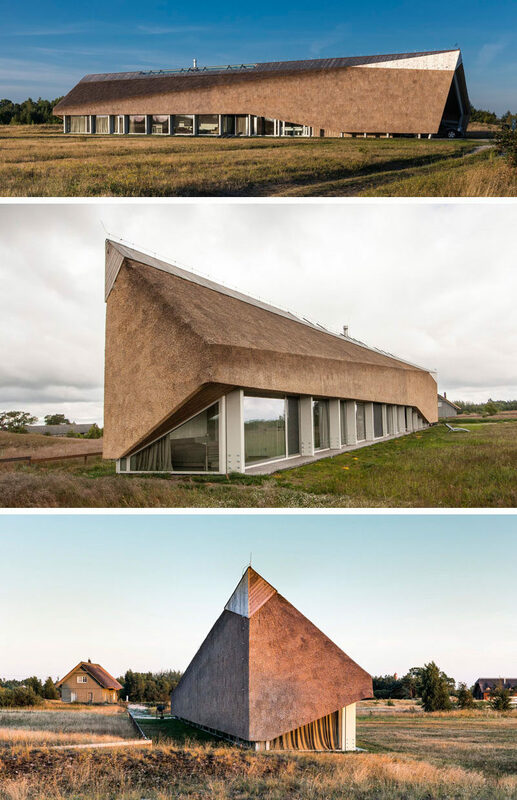 Photography by Martine Berendsen, Bart van Hoek, and Attika Architekten. 11. This daycare center is covered with thatch to create a unique tactile experience for the kids who attend the daycare. See more photos of this daycare centre, here. 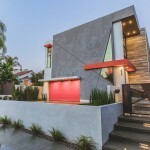 Designed by Möhn + Bouman Architects. Photography by Jeroen Musch and Bart van Vlijmen. 12. The thatch roof on this home has been set into the wood frame of the house and purposely doesn’t hang over the sides to contrast the way that the roofs were traditionally installed. Designed by Bureau B+B. Photography by Lard Buurman.